The world of fantasy can easily be divided into high and low. Low fantasy has often been the stuff of popular entertainment – swords and sorcery, realistic worlds and problems therein. High fantasy, though, has always been something special. High fantasy is something higher, something a bit nobler in form. While the stakes aren’t always higher than those in low fantasy, they are often much grander. There aren’t many books that really give readers the sense of scope that this subgenre calls for, but the few that do really stand out. While the classic series of high fantasy will always be The Lord of the Rings, there’s one other series that has come close to capturing the same scope and depth as those books. 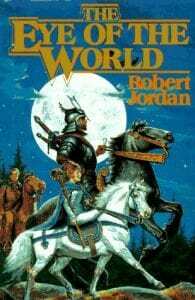 Robert Jordan’s Wheel of Time series is perhaps the best-known work of modern high fantasy, one that has sadly lived on past the life of its author. The Wheel of Time incorporates much of what one would expect from a high fantasy experience, but does so in a manner that creates a world that seems quite familiar at the same time. From the books to their various adaptations, the world that has been created is one that has amassed a legion of fans. 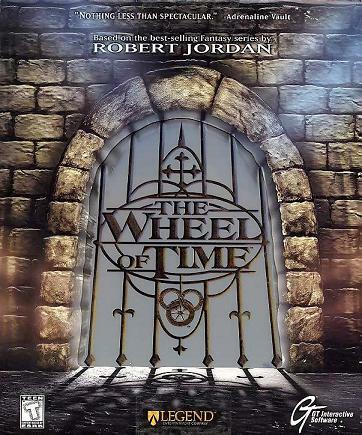 The Wheel of Time series was the brainchild of Robert Jordan, who at the time had already established himself as a fantasy author. He had been best known for writing successful Conan the Barbarian novels, and he was able to leverage his relationship with Tor Books to propose a new high-fantasy novel series. This series was intended to be an epic trilogy, much like The Lord of the Rings. The head of Tor, however, felt that Jordan’s tendency to write more than he planned would better be suited to a six book contract. The first book of the series was slow going and required a great deal of revision. Jordan initially went for a more unique tone, but found the writing process easier as he began to move closer to the works of Tolkien. Much as Tolkien was influenced by European myths and Christianity, Jordan’s books would be influenced by concepts from Buddhism and Hinduism as well as European myths and beliefs. This helped him to create a fleshed-out world that would draw in readers. Jordan wrote the first seven books very quickly, and then slowed down to a biannual release schedule after the publication of the seventh book. He meticulously planned out where the story was going, but his involvement in the series ended with his untimely death in 2007. In the World of the Wheel of Time, everything is cyclical. The universe is governed by a Wheel of Time, which has seven spokes that represent the different ages of time. The Wheel turns under the impetus of the One Power, which flows from the True Source. The world is governed by The Creator, who imprisoned the Dark One. The Dark One, however, was given the ability to let his influence out on the world, and promised immortality to those who would aid him in gaining freedom. A century after the breach of his prison, a man named Lews Therin Telamon, the Dragon, leads a force to reseal the prison. The Dark One corrupts all the male channelers of the One Power, leading to an event called the Breaking of the World. Therin commits suicide, and the women who hold the power of channeling reorganize society. The world of the Wheel of Time is technologically analogous to the Middle Ages on Earth. The society has a great deal more equality, but is equally wracked by war and other issues. Much of the setting rests on the prophecy that one day the Dark One will be freed – or break free – from his prison and that the Dragon will be reincarnated to oppose him. One of the more unique aspects of the series is its system of magic, called Channeling. Channeling is a natural ability held by some men and women to access the One Power, which is further divided into the Five Powers of Earth, Fire, Water, Air, and Spirit. Men and women each have their own particular spheres of power, and they are opposed by the True Power held by followers of the Dark One. Channeling is composed of flows and weaves. Flows are composed of a single Power, while weaves may be composed of many. Flows are particularly dangerous – Channelers who make use of flows that are too large can cut off their access to the One Power permanently or even kill themselves. Men and women channel their powers differently. Women let the power flow through them, while men describe the use of the power as a struggle for control. Male channelers tend to be stronger, but female channelers can form circles to better direct and control their weaves. The formation of circles is an important part of channeling. Women can form circles of thirteen, while men can form circles of up to seventy-two. The most powerful circles, though, tend to have an equal gender balance. Long ago, in the age of legends, a group of thirteen of the most powerful channelers went over to the side of the Dark One. These thirteen channelers became known as the Forsaken, and they were often seen as the commanders of the Dark One’s forces against the armies that opposed him. Seated in Shayol Ghul, only those nearest to the surface would age at all for the next three millennia. The Forsaken were the strongest channelers of their time. The strongest among them, named Ishmael, was even rumored to match the strength of The Dragon. Their true strength lay in their knowledge, though – they retained a great deal of information not just about the weaves of their own eras, but of the technology used in their time. As such, they viewed modern channelers like the Aes Sedai as laughable amateurs. Referring to themselves as the Chosen, the Forsaken have had their numbers dwindle due to infighting. In fact, when they are not fighting others they tend to fight one another for the favor of the Dark One. By the time of the book’s setting, all of the remaining Forsaken are highly feared and their names are often used as tools to scare children into obedience. The World of Dreams is a physically accessible parallel world in the setting of The Wheel of Time series. Actually going there is quite dangerous, but some are able to Dreamwalk there in their sleep. The world is a reflection of the real world, and can be used to gather information about what is going on in the main reality. The World of Dreams, however, is shaped by those who are present within it. The World of Dreams doesn’t have much use for the rules of time or space. Dreamers can take any form or go to any location, but they are not immortal there. Their actions in the dream world can have consequences in the real world, and those who die in Tel’aran’rhiod can die in the main world as well. Animals can naturally access the world of dreams, and that is where the spirits of wild animals go after death. It is also where the spirits of some humans go between the cycles of rebirth. The strength of will and imagination of a person in the real world will translate into greater power in the World of Dreams. Some people also have the ability to walk into the dreams of others. They are less powerful in those dreams than they may be in the World of Dreams, though. These worlds are temporary, but they can greatly resemble the World of Dreams. In 2005, Robert Jordan was diagnosed with a terminal heart condition. He knew that he may not be able to finish the books, but he pushed himself to finish what he believed to be the twelfth and final book of the series. Knowing that it was possible that he wouldn’t finish the book before his death, though, Jordan took copious notes and made preparations for another author to finish the series in the manner that he wanted to see it finished. When Jordan passed in 2007, Brandon Sanderson was chosen by Jordan’s widow to finish the series. Sanderson was already a successful fantasy author in his own right, and began the process of finishing the final book from Jordan’s notes. Due to reasons of length and continuity, Sanderson made the decision to split the final book into a trilogy. In 2013, the final book in the series (A Memory of Light) was published, using Jordan’s chosen title. Sanderson has ruled out writing the prequel books that Jordan had planned to write, as the original author only had very rough notes for the content of the novels. For the time being, The Wheel of Time has been brought to an end according to Robert Jordan’s original plans. The Wheel of Time series was initially conceived of as a trilogy. Given the nature of the novels and Jordan’s tendency to over-write, it’s not surprising that the series ended up roughly five times as long as it was intended to be. By the time of Jordan’s death, the original trilogy had expanded into twelve novels. The final book was considered too long to be a single book, leaving the readers with the fifteen novels that were finally completed. As a note, this list is in chronological rather than publishing order. 2004’s New Spring takes place before the rest of the novels in continuity, but was one of the last novels that Jordan actually finished. Taking place roughly two decades before the series proper, this prequel describes the end of the Aiel War and the witnessing of a prophecy of The Dragon’s rebirth. The book helps to set up the events that would lead to the first novel, despite the fact that there are decades separating the two books. New Spring’s release was actually fairly controversial. Jordan had slowed down his writing considerably from his original breakneck pace, and some readers worried that he was spending too much time on side stories. The reception caused Jordan’s decision to focus his efforts on finishing up the series. The first novel in the Wheel of Time series. Introduces Rand al’Thor, Mat Cauthon, Egwene al’Meara and Perrin Aybara during an attack by Trollocs on their home village. The group flees with the aid of a member of the Aes Sedai, and the world is slowly but surely built into that which readers would come to know and love. It is this book that introduces Rand as the Dragon Reborn, and sets in motion the events that will consume the rest of the series. Widely considered to be one of the best books in the series. Provides readers with everything they’ll need to know to understand the future books. A particularly busy book with three competing plot lines. In one, Rand and company go on a quest to retrieve the Horn of Valere. In another, an army invades the west. In yet another, Egwene and her group go to learn the ways of the Aes Sedai. The book features Rand learning more about his channeling ability and the first real trip to the Dream World. The book sets the precedent for the characters learning about new powers during almost every adventure. 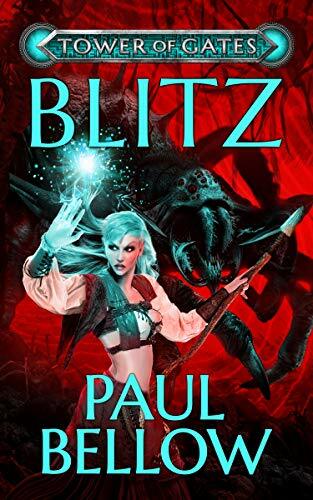 The novel only vaguely follows up on the plotline that Rand is the Dragon Reborn. Rand is declared The Dragon Reborn, and goes to Tear to prove himself. His friends chase after him, always one step behind. The party has adventures of their own, establishing their importance outside of Rand’s friendship. Rand kills one of the Forsaken, proving his power. One of the more unique books in the series. Most of the book isn’t actually told from Rand’s point of view, but rather from those of his friends and allies. Definitely breaks the structure of the books before this. Also interesting because of the lack of actual focus on the title character. Both the longest book in the sequence and the only book thus far not to contain a prologue. Rand has proven himself The Dragon Reborn, the party is together in one place, and a number of romantic entanglements reveal themselves. The Shadow Rising famously splits the party four ways, following four separate plot lines for the remainder of the novel. In the book, Rand further solidifies his claim to the prophecy of The Dragon, Mat becomes one of the greatest living generals, and Perrin becomes Lord of the Two Rivers. Each of these developments will become more important as the series progresses. The first novel in the book not to feature an appearance by Perrin, and altogether one of the more simple books in the series. The book will start a trend of leaving out one major protagonist from following books. Rand leads his Aiel over the Spine of the World, and the battle that follows has huge repercussions. During the battle, Mat steps into his role as a general. The group is later seemingly killed, but Rand saves them all through the use of balefire. Nynaeve goes to find the rebel Aes Sedai and traps one of the Forsaken in the World of Dreams. 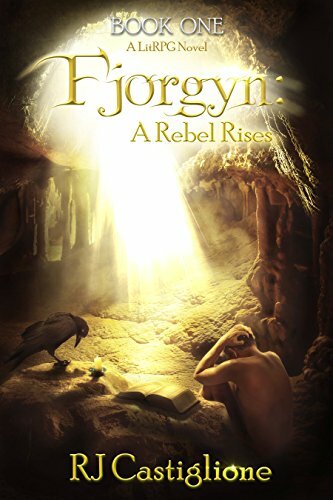 The first book in the series to be nominated for a Locus Award for Best Fantasy Novel. Also the first book in the series to have an epilogue. Rand rules two kingdoms and starts to organize both his male channelers and an army. Rand manages to alienate people from his home town, is captured by the Aes Sedai, interacts with his previous incarnation, and even manages to make some of the Aes Sedai swear allegiance to him. Mat goes to the Tear and eventually leaves for Ebou Dar. Perrin witnesses the carnage of battle. Egwene is summoned to become the Amyrlin Seat of the rebel Aes Sedai. A relatively short and simple book by the standards of the series. Only features three plotlines, all of which are relatively easy to follow compared to what came before and after. Rand prepares to attack another of the Forsaken and ends up taking the Crown of Swords. Egwene forces rivals to swear loyalty to her. Elayne and her group seek to stop the Dark One’s manipulation of the climate, while Mat is left behind. The first book of the series to make it to number one of the New York Times Best Seller list. It is also the shortest book in the series. Elayne reverses the Dark One’s climate plot and manages to take the Lion Throne. Perrin moves to Ghealdan. Egwene prepares to lay siege to the White Tower. Rand deals with an invasion and makes a horrifying choice. This is the first book from which Mat is absent. Another book to hit #1 upon its release, and it stayed there for two months. Much of the book took place at the same time as the next novel. Perrin attempts to get back his kidnapped wife. Elayne deals with traitorous nobles. Mat kidnaps the heir to the Crystal Throne. Ran grows increasingly colder as his power continues to grow. Saidin is finally cleansed of the Dark One’s influence, though at great cost. Stayed at number one for three months, the longest reign of a Wheel of Time book thus far. The book’s prologue was released as an e-book. Some of the events took place concurrently with Winter’s Heart. Perrin continues to try to save his wife while Mat continues to try to escape Seanchan territory. Elayne is pregnant by Rand and continues to try to hold the Lion Throne. Rand negotiates peace with the Seanchan, pending an important meeting. Egwene is kidnapped during a siege. The fourth consecutive number one release for the series. This is also the final book written solely by Robert Jordan before his passing. Elayne solidifies her hold on the throne of Andor. Egwen undermines the White Tower. Mat and Tuon are married and Tuon becomes the Empress of the Seanchan. Perrin finally rescues his wife. Rand loses a hand. The time of the Last Battle is finally at hand. The end is on its way. The first of three books written by Sanderson from Jordan’s notes. Though the series was initially intended to end with one novel, Sanderson found it impossible to keep the book at a reasonable length. This is considered the beginning of the end that Jordan had envisioned for the series. Mostly focuses on Rand and Egwene. Rand has reaches his lowest point, and almost makes a fatal decision. Egwene takes the Amyrlin Seat. Rand destroys the Choeden Kal. The second book of the trilogy that ends The Wheel of Time. Rand and Egwene meet to discuss the fate of the world. Perrin faces deadly trials and a deadly trial. Mat fights the gholam. Elayne becomes Queen of Cairhien. The end of the world may still be nigh. The final book in the trilogy, as well as the final book in the series. Bears the title of the last book planned by Jordan. The forces of good and evil prepare for the final battle. All the nations agree to a treaty before beginning the final fight. The Dark One is defeated, but not destroy. Rand learns an important truth. A body is burned, and a man is freed of his burdens. The world goes into its Fourth Age. It should come as no surprise that The Wheel of Time has had several different media adaptations. While none have been as wildly successful as one might hope, many do have their fans. Starting in July of 2005, The Wheel of Time was adapted into a comic book format. The books sold rather well, though there were some major issues won the publishing end. Thus far, New Spring and Eye of the World have been fully adapted in this format. There have been a few adaptations of the series in the gaming world. A fairly popular MUD was made, along with a computer game of middling success. A MMORPG was planned in the universe, but it seems to have been quietly dropped some time in 2014. A pilot episode for a TV series aired one time on FXX on 2015. In 2017, it was announced that a full television adaptation of the series was scheduled to be produced. Writers and producers have been announced for the show, but there hasn’t been any word on casting or even the network on which the show would air. The Wheel of Time is perhaps the best example of a modern fantasy epic. 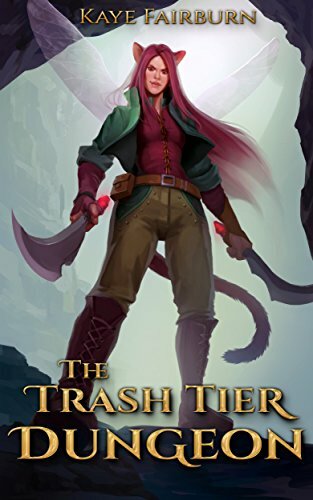 It certainly helped to bolster the popularity of other high fantasy settings, and it’s unlikely that any American high fantasy novel will be published any time soon without comparisons made to this series. It’s also helped to popularize a subgenre of fantasy that had largely lost its footing after The Lord of the Rings. It’s easy to see the influence of The Wheel of Time in many books that have been published since. Even though the cycle is over, it’s likely that the themes within will continue to repeat for years to come. The Wheel of Time series is one of those series that will stay with readers long after the books go out of publication. For the time being, though, it looks like the tale of the series is just beginning. Whether you are interested in reading the books, watching any of the media spin-offs, or just enjoying the things that Wheel of Time influenced, there’s something out there for you. The Wheel of Time is one of the few series of high fantasy that really deserve to be part of that canon, setting the tone for everything in the genre that will follow. More On The Wheel of Time Series? Are you a Robert Jordan / The Wheel of Time superfan? Don’t worry! 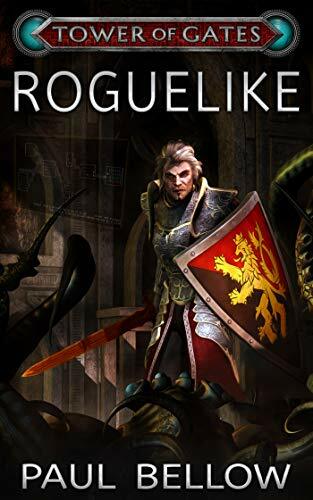 Over at the LitRPG Forum we enjoy this sort of high fantasy as well as a fair share of sword and sorcery. Gaming? Yup. Anime? Yessir. LitRPG Books? That’s why we started the site! Stop by to join the gamification of a subgenre!